Our Janis Baptism Gown is one of my newest creations. Made in fine soft tafetta, french lace and fully lined on the inside. Dress features Victorian style lace and is adorned with pearl buttons in the back. The back of the blouse and skirt have an open slit, helping get baby in and out of the gown, helps when holding baby. 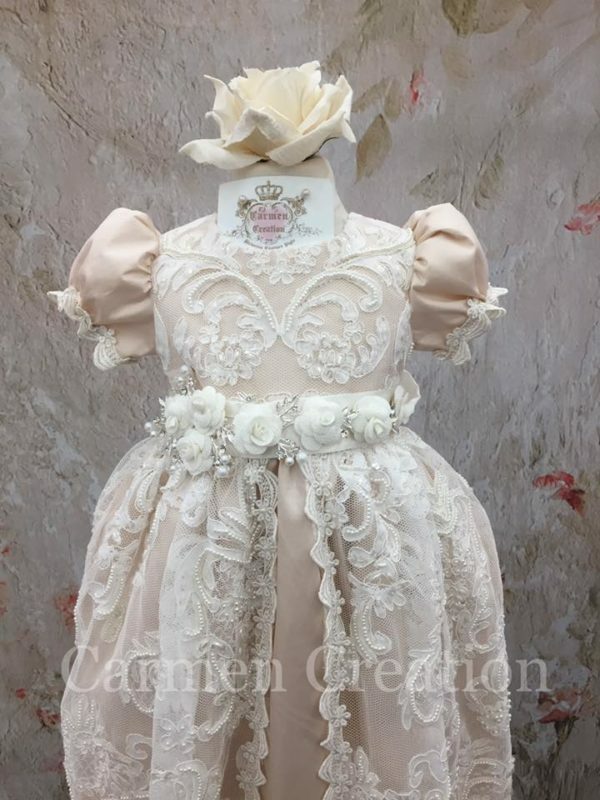 The gown also features a rhinestone waist decoration, matching shoes and bonnet. Sheer lace sleeves.